The majority of Germans do not trust Chancellor Angela Merkel’s claim that the country will successfully handle its refugee crisis. 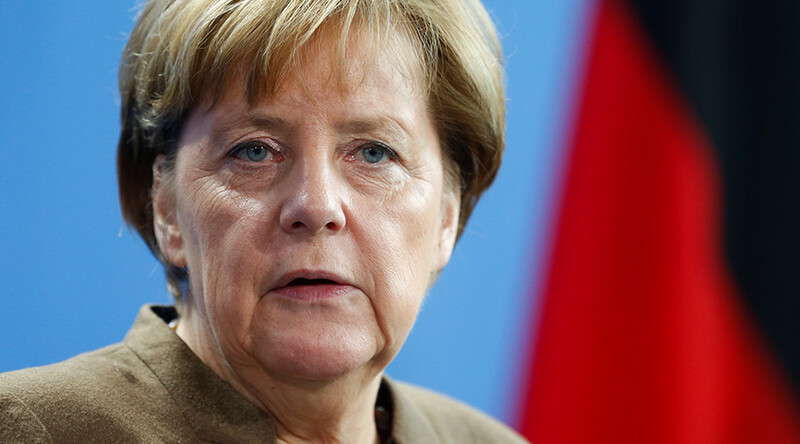 Merkel has come under fire over her “we can do it” remark in response to her open door policy towards asylum seekers. The findings came in a recent poll, which was carried out by the YouGov market research firm between July 26 and July 29 among 1017 German citizens, according to the German media, which saw the results of the survey. At least 66 percent of the respondents said that they do not agree with the chancellor’s policy towards refugees, while some 27 percent support Merkel, the survey said. According to YouGov these are the worst results since August 31, 2015, when 51 percent disapproved of the Chancellor’s policy. Merkel has been under fire after Tuesday’s speech when she said she will still stick to an open door policy for refugees. She added that Germany is still “safe,” despite the recent deadly attacks, most of which were committed by migrants. The chancellor made it clear there will be no U-turn in the state’s policies regarding migrants. Dealing with the flood of refugees is a “historic task” Merkel said, while she reiterated that Germany “will make it.” She also stressed that “lot’s has already been done,” echoing arguments she had made in previous speeches. Germans quickly hit back at Merkel’s “we can make it” line by posting statements such as “unfortunately we cannot ask the victims of the recent attacks whether they see it exactly the same way." On Friday the head of the Green Party Cem Ozdemir said that he feels “ashamed” due to “the failure of the world community, of Europe and above all of Germany" to resolve the refugee crisis. Ozdemir believes bringing peace to war zones is crucial in this respect. He mentioned Aleppo, where civilians have been trapped. “This is an unimaginable misery - and the world barely takes any notice. Angela Merkel is completely ignoring this and other humanitarian catastrophes,” he told the Funk Media Group, as cited by the Local. Frauke Petry, leader of the Alternative for Germany (AfD), which strongly rejects the refugee inflow into Germany, also criticized Merkel’s policy towards migrants. “…Stop repeating ‘we’ll manage it’ and finally admit your mistake,” she said. Germany has been recently on high alert following five deadly assaults in recent weeks. Three were committed by asylum seekers, and two of them are being investigated for links to Islamic State (IS, formerly ISSI/ISIL).